Cannabidiol is a relatively new and ever-expanding marketplace. You’ll often hear of terms such as salve, oil, tincture, cream, butter, balm, lotion, etc. What does it all mean? Most people will admit that purchasing Cannabidiol, or CBD can be confusing for a new consumer. What’s the difference between CBD Oil and CBD salve? What sets apart cream from a gel? In this introduction, we will answer some of the most common questions the average CBD consumer grapples with when shopping for topical CBD options online or at the store. Keep reading to find everything you need to know about CBD topical salve, including what it is, how it’s made, the potential health benefits, and how it differs from other CBD products such as oils and creams. CBD Salves are topically applied products that can be directly absorbed by the skin. These CBD-infused concoctions are used to treat parts of the body that need relief from muscle, joint, or bone pain. CBD Salves generally have different ingredients compared to CBD lotions and CBD creams. A topical CBD salve uses either beeswax, fatty oils, or a therapeutic compound as its base. CBD lotions and CBD creams, on the other hand, use moisturizing agents. At Hemp Bombs, our topical CBD salve uses the therapeutic combination of Menthol USP Natural and Pure Hemp Extract to deliver a one of a kind bio-coolant gel. 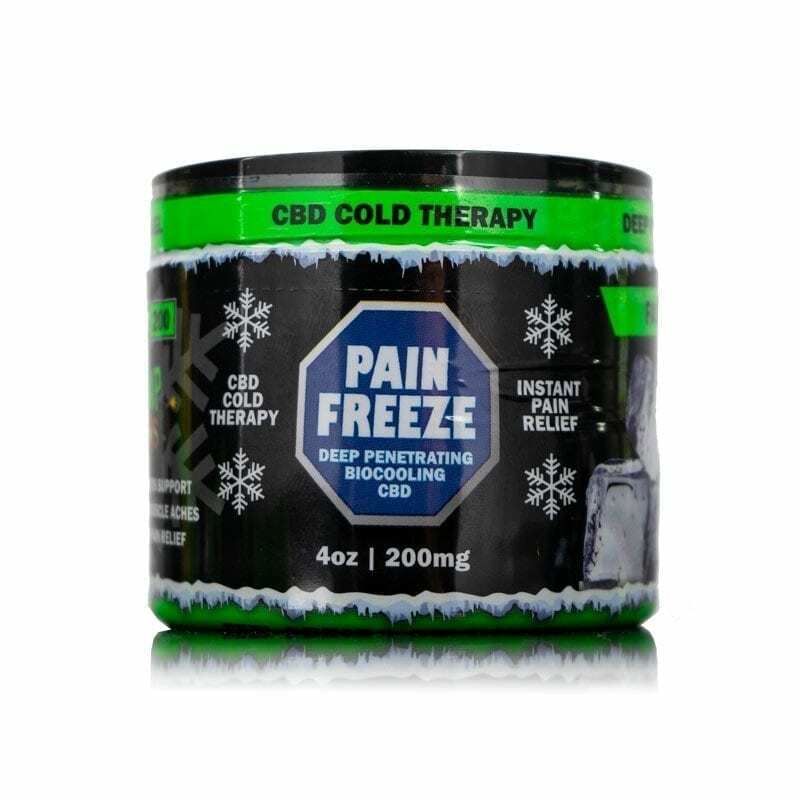 Hemp Bombs CBD Pain Freeze features the healing properties of CBD which can provide support for your muscles, joints, and bones. It can also help reduce chronic pain and relieve inflammation. How is CBD Topical Salve Made? The key ingredients for a basic CBD topical salve are a natural wax, fatty oils to be used as a base, and a therapeutic or medicinal compound. While there are many recipes to use when making a CBD salve, all of them must contain at least two of the key ingredients. CBD is infused into the mixture, and it acts as the conduit for carrying the CBD. There are many types of oils to choose from, but coconut oil is most preferred due to its high fatty acid content. Beeswax is the most common option when it comes to the wax portion of the base. Beeswax is hard, dense, and sticky. It usually has to be melted down to make it more fluid. Hemp Bombs has created our own unique formula that separates our CBD topical salve from the competition. 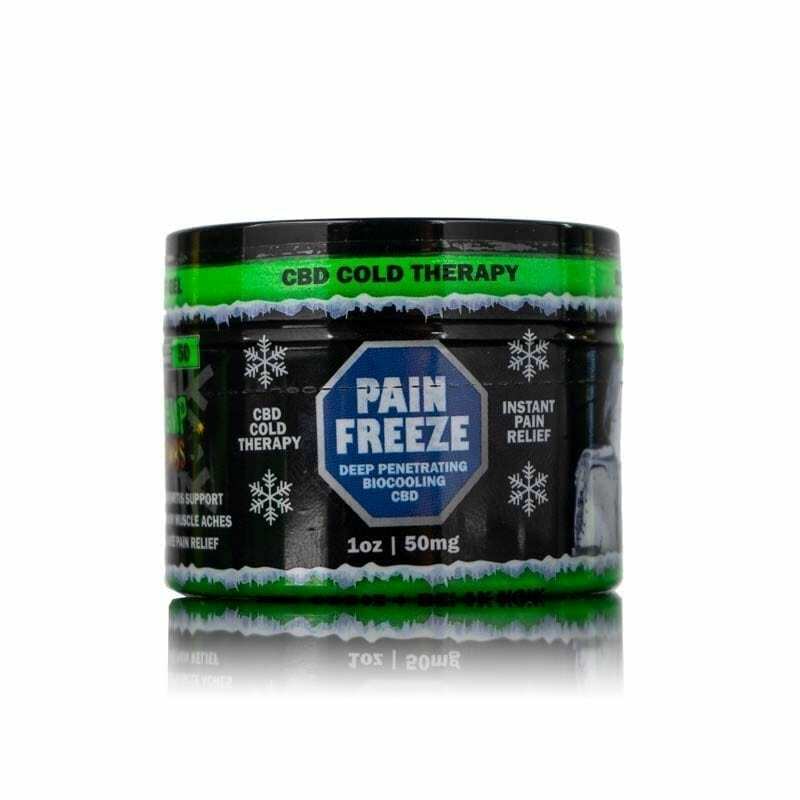 Hemp Bombs CBD Pain Freeze is made from high-quality Industrial Hemp that is farmed only using sustainable methods. Our cooling formula contains Menthol, Camphor Oil, and Aloe Vera which serve to enhance the soothing property. Your body's ECS cannabinoid receptors are located throughout your brain and central nervous system cells. The interaction between CBD and your ECS results in the more efficient functioning of all key body processes relating to homeostasis. When you topically apply a CBD salve, like Hemp Bombs Pain Freeze, it activates your cannabinoid receptors, allowing them to alleviate areas of pain and inflammation. How Does CBD Topical Salve Work? Let's take a closer look at how a CBD topical salve works to provide relief. CBD topical salve was designed to be topically applied to areas of your skin that are irritated by joint and muscle pains. When a CBD topical salve is applied on the skin, CBD rich lipids in the oil base are quickly absorbed and carried across the skin cell membranes. This is where the cannabidiol initiates the therapy. The salve works to heal the surrounding tissue and cell layers. A salve can be used to target the affected part of the body directly for faster relief. When applied on the skin, a high-quality CBD topical salve such as Hemp Bombs CBD Pain Freeze can help with joint mobility, muscle aches, arthritis pain, post-workout muscle soreness, sunburn, and fibromyalgia.